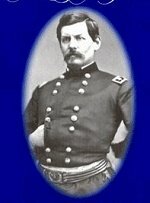 Born in Lancaster, Ohio. 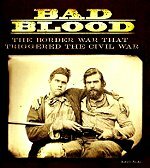 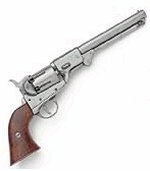 Orphaned at age nine and raised by a prominent Ohio politician, he graduated from West Point in 1840, saw service in Florida, and, during the Mexican War, in California; he stayed there and in 1853 resigned from the army to become a banker. 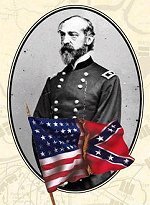 When the bank failed in 1857, he became superintendent of the Louisiana Military Academy; he resigned when Louisiana seceded early in 1861. 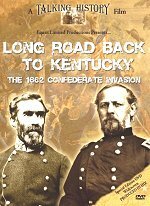 Reentering the army, he led a brigade at First Bull Run (July 1861), then was given command of the Union forces assigned to hold Kentucky in the Union; there (late 1861), under pressure from Washington and the press, he had a mild nervous breakdown. 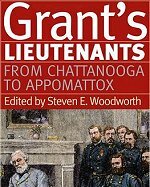 Recovered, he was assigned to Ulysses Grant's command and came into his own leading large units at Shiloh (1862), Vicksburg (1863), and Chattanooga (1863). 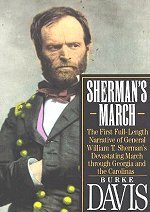 When Grant left to take command of the Federal forces, Sherman assumed command of operations in the west and by September 1864 had captured Atlanta in one of the Civil War's most decisive campaigns. 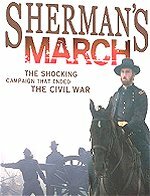 The advocate of a hard, unrelenting war on all fronts - "War is cruelty and you cannot refine it," he said, thus solidifying his reputation as the first modern general - he then set off on his famous March to the Sea. 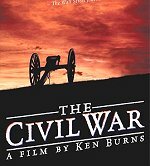 Cutting a wide swath of destruction through Georgia, and, in early 1865, through the Carolinas, by April 1865 he had forced the surrender of the last major Confederate forces. 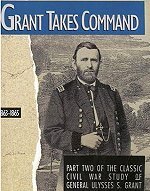 After directing the fight against the Indians as the transcontinental railroad was being built, he succeeded Grant as commander in chief of the army (1869 - 1883). 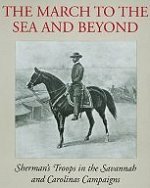 His excellent Memoirs were published in 1875. 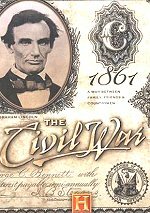 Asked to run for president in 1884, he sent his oft-quoted refusal: "I will not accept if nominated and will not serve if elected." 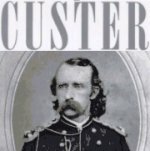 Born at Lancaster, Ohio, on 8 February 1820; upon his father's death, was adopted into the family of Thomas Ewing, 1829; was educated in a local academy, then attended the United States Military Academy, 1836-1840; was commissioned a second lieutenant, July 1840, and posted to the 3d Cavalry in Florida; was promoted to first lieutenant, November 1841, and served at various southern stations; served in California during the Mexican War as adjutant and aide to Generals Stephen W. Kearny, Persifor F. Smith, and Richard B. Mason. 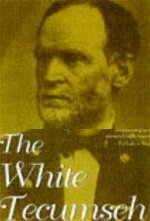 1847-1850; married Ellen Ewing, 1850; was appointed captain, September 1850, and assigned to commissary duty in St. Louis and New Orleans, 1850-1853; resigned his commission, September 1853; engaged unsuccessfully in banking and law, 1853-1859, then successfully as superintendent of a military college at Alexandria, Louisiana, 1859-1861; was reappointed in the Regular Army as colonel, 13th Infantry, May 1861; was appointed brigadier general of volunteers, May 1861, and commanded a brigade at Bull Run in July. 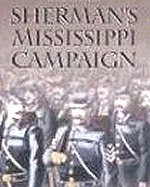 Served in Missouri and Kentucky and commanded the Department of the Cumberland and the District of Paducah, 1861-1862; was appointed major general of volunteers, May 1862; commanded a division in the Tennessee-Mississippi campaigns and was wounded at Shiloh, April 1862; commanded the District of Memphis and the Vicksburg expedition 1862; commanded the XV Corps in the Vicksburg operations to its surrender and was appointed brigadier general in the Regular Army, July 1863; commanded the Army of the Tennessee in the Chattanooga-Knoxville operations, 1863-1864; commanded the Division of the Mississippi, 1864-1865, leading the Union forces in the invasion of Georgia, March to the Sea; was promoted to major general, August 1864; commanded the Armies of the Ohio, Tennessee, and Georgia in the final operations in the South, receiving the surrender of Confederate forces there, April 1865. 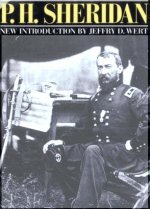 He was promoted to lieutenant general while in command of the Division of the Mississippi, July 1866; was on a special mission to Mexico, November-December 1866; commanded the Division of the Missouri, 1866-1869; was promoted to general, March 1869; was commanding general of the United States Army, 8 March 1869-1 November 1883; was acting secretary of war, 6 September-25 October 1869; sought to establish senior officer control over bureau heads, pressed for Army control over Indian affairs, urged consolidation of troops at strategic locations, and established a school for infantry and cavalry; retired from active service, February 1884; died in New York City on 14 February 1891. 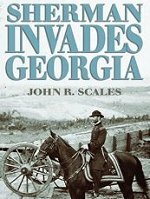 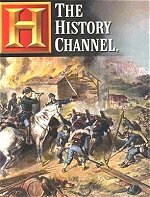 This book contains an examination of the army that General William Tecumseh Sherman led through Georgia and the Carolinas, in late 1864 and early 1865. 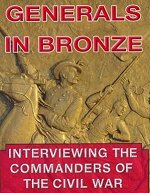 Instead of being just another narrative of the March to the Sea and Carolina campaigns, however, Glatthaar's book is a look at the individuals that composed the army.